Dreaming about anything and everything, doesn’t always feel the same as experiencing it first hand. So Sony has debuted at today’s IFA event a HMZ-T2 Personal 3D viewer, which lets you experience things like never before. The 3D viewer fits snugly on your head, and provides you with a 360 view of whatever, is playing. This might be a great idea to really experience FPS (First Person Shooter) games, if your big screen won’t do. Sony has just announced a SRS-BTM8 wireless speaker, that is designed to be taken anywhere, and everywhere. The speaker, is designed to give room for your hand to grip it easily and take it with you on the go. It also has NFC and Bluetooth capabilities, so you wont need to connect your phone physically, while heading out. The Sony SRS-BTM8 wireless speaker comes in black and white. So get your wallets ready for some serious buying. Bicycles, tricycles, and Flizs are all variations of the modern-day bike. This new innovative invention is reinventing the bike. Fliz a foot-powered bicycle that’s painted yellow to make you stand out in public, gives us a whole new meaning of green transportation. The bike which looks more like moving art then a comfortable way to get to work, will sure make you stand out. Finally, so whether you want one or not, make sure you fit a helmet on, as this looks very unstable. Everyone is afraid of earthquakes, as the originate everywhere in the world, you never know when they’ll hit you. Therefore, with the new Wood Luck bed you can sleep comfortably at your bedside knowing it can with hold up to 65 tons over your head. The bed which is manufactured by Shinko Industries in Japan, is made out of 30 to 40 year old cypress wood, which is known to be incredibly strong. Starting at $5,600 for lower end models, you can but your wallet and your life on the line. Motorcyclist never have the chance to have a controlled temperature environment, like other car drivers. This will all be changed with a new all-weather solar power motorcycle helmet, that takes in air and either lets it cool your face or heats it to beat the cold. 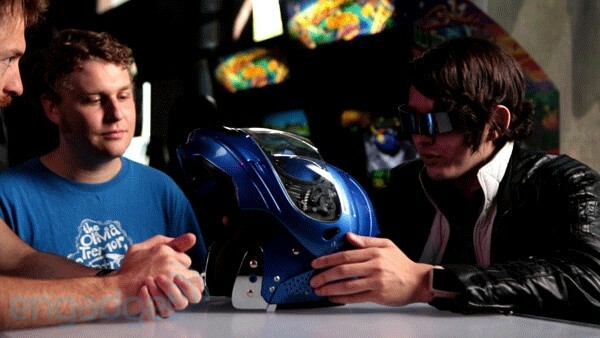 The helmet is powered via a solar power cells that are built into the top of the helmet. Nevertheless, if you’ve decided to buy one or not, you’ll still need to wait as it needs to pass safety tests before it hits the market. As we are heading closer to the early fall, where a lot of new gadget are being debuted, Microsoft has still to decide Surface tablet’s price tag. There have been backed up rumors that the tablet will be priced at $199 as Acer has been begging Microsoft to increase the price. The reason behind the plea is that Microsoft will be selling the tablets at a loss and will hope to earn its massive profits from accessories and add-ons to Windows 8. However, Acer cannot afford to do that, as their company’s cash reserves are dwarfed when standing next to Microsoft’s and they don’t even own the operating system. Although hopefully, for consumers sake it will be priced a $200. In other words, for $200 its a no-brainer purchase, if they decide to sell it at around $500, people will consider it, but at $1000 (around the same price as ultra-books) there’s no way that anyone would buy it, unless they have cash to spare. Finally, on October 26th we’ll hear how much our wallet will have to cry out when empty them. Don’t you hate having to clean the floor? Keeping that in mind, bending down and sweating aren’t what most people call fun. So iRobot has made our lives one heck of a lot easier. As they just updated their new Roomba line and cut down prices, you can now try one out yourself by emptying your wallet at around $350 bucks. Furthermore, iRobot also gives you the chance to empty some $50 bucks more, for an unknown upgrade, as they didn’t care enough to list the difference on their site. However, if your wallet is begging you to empty some more dough then you can upgrade to $600 bucks instead for scheduling, touch, and other added features.